Short hike today into Standing Bear Farm where I had resupply waiting. Thank you Chris, Heather, and Abbie. Pretty nice hike today and mostly downhill. The 4 mile downhill yesterday took a toll on my left knee which always seems to be the worst. Vitamin I is becoming my friend. Standing Bear is a pretty cool place run on the honor system, which I think is awesome. Again about 20 folks here all moving North. We got word of a few folks leaving the trail account of injury but so far all are safe in our group. Yesterday a gentleman providing Trail Magic collapsed after hiking a bit on the trail and had to be moved to a hospital… no other word. 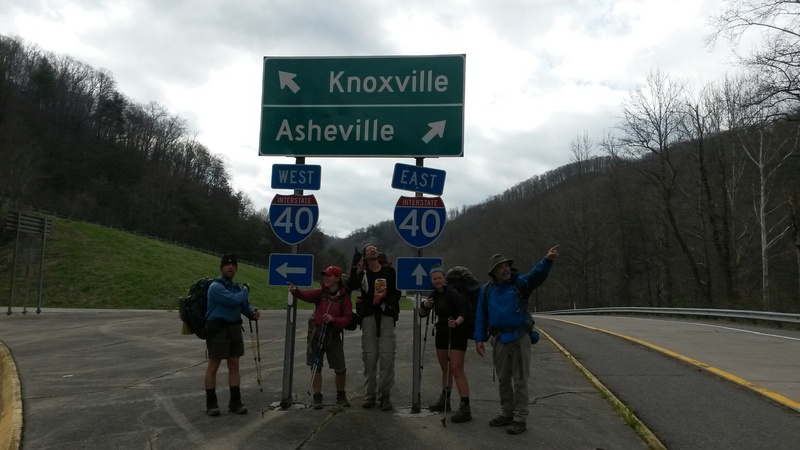 For anyone who hasn’t hiked the AT…IT IS TOUGH. We have really been challenged by the weather and the next two days promise more with thunderstorms looming. We like to avoid the human lightning rod look… It messes up a good hair day! And you’re worried about messed up hair? Ha! I love following your journey, keep it up. Enjoy reading your Blog every post! I am sure your hiking legs will kick in real soon!! Keep up the positive attitude – you and the gang are doing great!! PS – Fantastic job with the fun pictures!! I love your daily blog! You’re doing awesome!! Hey Daddy-o….You gonna knock out a quick round trip on the dragon while you are in the neighborhood?